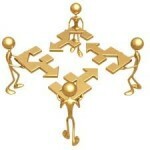 Social networking sites such as Twitter and Facebook are great for large scale connections and discussion. However, as a small business owner, you need services that allow you to connect to like-minded individuals in a more focused environment. To help you and to save you the time searching, I've compiled a list of social networking sites specifically designed for small business owners and entrepreneurs. Blellow is a community with a focus on productivity. It's a place for freelancers and professionals to collaborate, find work and solve problems. Biznik is an award-winning community of entrepreneurs and small businesses dedicated to helping each other succeed. Biznik is for people who are building real businesses, for sharing your ideas and the place where real conversations about small business and entrepreneurship are taking place. Cofoundr is a fast growing online network for Entrepreneurs. Join the private community of startups founders - developers, investors, CEOs, advisors, programmers and designers to find co-founders, build teams and get advice. Ecademy is a social business network founded in 1998, a community that enables people to learn, network and develop their business with a "digital mindset" for effective economic growth. Using the tools, resources and events that Ecademy has developed, a small to medium business can quickly and effectively find the right kind of people it needs to grow. Ecademy allows you to attract the people you would like to meet 24 hours a day from your office or home. E.Factor stands for "The Entrepreneur Factor" and represents a vibrant online community and virtual marketplace designed for entrepreneurs, by entrepreneurs. It's a place where you can focus exclusively on making business connections, negotiating deals, exchanging information and advertising your products. Entrepreneur Connect is a social network where small business owners can create a profile, explore the community, share ideas and make connections. This site is not intended for mass self-promotion, but rather should be a positive destination where entrepreneurs can exchange real advice and make lasting connections. Fast Pitch is a professional social network for business networking professionals. Founded in 2006, Fast Pitch gives you competitive tools and features that enhance your presence on the web in a professional environment where everyone is committed to doing business. Focus provides millions of professionals with the expertise they need to make better business decisions. At the heart of Focus is a network of world class business and technology experts. These experts power the real time Q&A, world class research and personalized support that so many businesses now depend on. Best of all, Focus is free and available to anyone who wants to make better business decisions, faster. Home Based Business Network is a community of like-minded people from around the world who enjoy the freedom of working from home and for themselves. Quickly create a free profile for you and your business, join or start a group, create a blog, take part in discussions, browse member profiles, make friends, share ideas and more. JASEzone is an online neighbourhood gathering spot for professionals from around the world. Through your JASEzone network you can find potential clients, subject matter experts and business partners; be found for future business initiatives and get introduced to other professionals. Jigsaw is a prospecting tool used by sales professionals, marketers and recruiters to get fresh and accurate sales leads and business contact information. LinkedIn is the leader in business social networks. Founded in 2003, LinkedIn exists to help you make better use of your professional network and help the people you trust in return. Their mission is to connect the world’s professionals to make them more productive and successful. Networking For Professionals offer online networking and business events. Founded in 2002, NFP provides a better alternative to building business contacts, quickly and efficiently by combining online networking with face-to-face meetings. They put you in touch with serious and successful professionals in your area and across the country, accelerating the way you network. Ning offers an easy-to-use service that enables people to create custom branded social networks. Design a custom social experience in under 30 seconds giving you the power to mobilize, organize and inspire. PartnerUp is an online community that focuses on the needs of small business owners and entrepreneurs. Founded in 2005, each of PartnerUp's features and functions is aimed at providing the most complete and efficient small business networking experience. Qapacity is a business directory, a promotion tool and a professional network dedicated to sharing, contracting and promoting services. 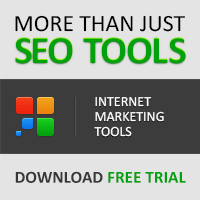 You are given a set of tools that makes it easier to reach new clients and to promote your business online. Raise Capital has one very simple mission, to connect entrepreneurs and investors. They are the premiere online destination for entrepreneurs to showcase their business ideas and capital needs directly to investors. Ryze is a free social networking service that helps you expand your business network. Through a free personal networking-oriented homepage, you are able to make new connections to help grow your business. Spoke offers on-demand business to business contact information for sales people, marketers and recruiters enabling Sales Lead Generation, Business List Creation and Professional Networking. StartUp is a fast growing small business social network. StartupNation is a free service founded by entrepreneurs for entrepreneurs. As a leading online content and community resource, you’ll find all the easy-to-follow, practical information you could ever need to start and grow your own successful business. 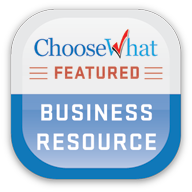 Talkbiznow is a web-based business community that provides business services for small businesses and professionals. Their mission is to simplify the essential business services and seamlessly integrate and deliver them through the internet for free. Members can network, collaborate with each other, promote and do business online. Unstructure is an open discussion platform for business professionals, bloggers and contemporary thought leaders to discuss and debate action ideas that would aid the evolution of business. Unstructure consists of an online discussion forum, an annual physical event and a book of insight and action ideas for businesses of the future. XING is the social network for business professionals. With over 10 million members worldwide, XING helps you expand your business network. Yelp was founded in 2004 to help people find great local businesses. In addition to being a local business review and talk networking site, business owners can setup a free account to post offers, photos and message customers. YouNoodle develops innovative ways to bring together the information, people and technology that help startups succeed. Ziggs is a one-stop source for creating and managing your online brand. Market yourself on the Web and simplify how you stay in touch with people important to you. People who use Ziggs enjoy comprehensive online personal branding that they control, top visibility in search engines, easy communications and a strong sense of community with people important to them, as well as networking opportunities with millions of other professionals. Affluence.org is a private social network where wealthy individuals connect, share information and engage in meaningful conversations. Affluence.org also provides exclusive, high quality content and advice from experts on subjects such as art, technology and travel. Yesterday, Google announced a roll-out of a new, experimental interface for Google FeedBurner which provides real-time stats for clicks, views and podcast downloads. This means you can now start seeing what content is drawing traffic from feed readers, Twitter and other syndicated sources as it happens. On the AdSense for Feeds Blog, Dan Rodney of the FeedBurner Team states that they are focusing on two things in the new interface: New real-time stats presentation and getting messages about and issues with your feed posted to the top-level dashboard, so that you can better diagnose any issues that may prevent your feed from being delivered in real time. The new interface will provide real-time traffic stats only on your item stats. Like the original FeedBurner interface, your subscriber and reach numbers are still calculated as normal (based on a whole day's worth of requests), with your stats for the current day not being available until 12-24hrs later. With the new interface being in an experimental (beta) stage, be prepared for changes and implementation of new features as time goes by. Real-time stats for subscriber and reach, for example, could become a new feature. To try out the new interface for yourself, visit http://feedburner.google.com/gfb/ or login to feedburner.google.com and then click on the "Try out the NEW (beta) version!" link at the top of the page. 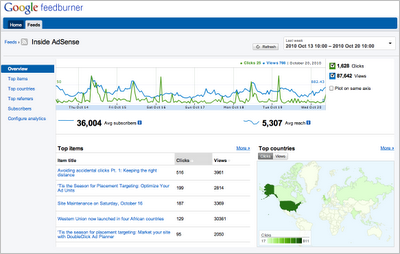 You can see the real-time stats in action by publishing a new post and then switching to the "Last two hours" view. I seem to be having problems accessing Newsvine and my new community group for bloggers, Blogvine (See post "Free Article Promotion For Bloggers" for more info on this community). I'll keep trying and hopefully, the problem should be resolved soon. I'll let you know if there's any news. Update 21st October: Managed to access the site today only to find that my account has been disabled... I hope it's not because of this post! Anyhow, I've sent them an email to find out why. Will keep you updated when I hear any news. So you've got yourself a website and are all excited about it. You tell your friends, colleagues and business contacts and the first thing they say is "Oooh.. that's great, you can link to mine and I’ll link to yours"… and everybody involved thinks this is a great idea because hey, the more links you have the more popular your site is with Google. Now this is all very well if you are talking about a few links between 'networking businesses', but in the bigger picture, exchanging reciprocal links is not a good way to ingratiate your site with Google. Be wary of joining Link Exchange Schemes or you could catch a nasty cold! If reaching Page 1 were that easy, all we'd have to do is put a couple of hundred (or a thousand) links from our web pages to other pages and ask them to do the same. Websites would immediately become 'huge link banks' rather than sources of information which is essentially what they should be in every case, even commercial sites. Google views 1 to 1 reciprocal linking very, very low in importance, for just that reason. I'm not saying you shouldn't do your friends a favor and they not do the same for you, but just think about what Google thinks is important or you might just experience a long-term negative impact. Google LIKES inbound links to your site where there is no reciprocal link back. Why? Because that scenario is a neutral (and therefore more valuable) editorial vote for your site's content. Google ABSOLUTELY LOVES the inbound (and not reciprocated) link where the link is from a site that is relevant and complementary to your own, ESPECIALLY if that site is regarded highly by Google already. So if you do arrange that reciprocal link with a business friend, just consider that your visitors may find their site irrelevant to what they are looking for. e.g. don't link to your friend's Doggie Washing Service if your site is about Commercial Property Investment for example. Keep it relevant. So how do you go about getting quality links? What about Link Exchanges? You know, those people who drop an e-mail into your inbox, offering a campaign where your site offers other sites (with similar relevant content to yours) a link, and in exchange they add a link to yours. Well, we've just blown reciprocal links out of the water, but schemes that promise hundreds of links are not a good idea. "..Excessive link exchanges, could negatively impact your site's ranking in search results." "Don’t participate in link schemes designed to increase your site's ranking or Page Rank. In particular, avoid links to web spammers or 'bad neighborhoods' on the web, as your own ranking may be affected adversely by those links." "Some webmasters engage in link exchange schemes and build partner pages exclusively for the sake of cross-linking, disregarding the quality of the links, the sources, and the long-term impact it will have on their sites. 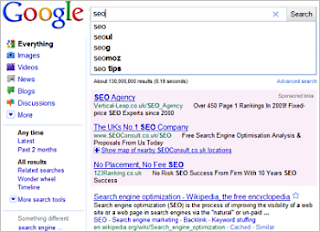 This is in violation of Google's Webmaster Guidelines and can negatively impact your site's ranking in search results." "The best way to get other sites to create relevant links to yours is to create unique, relevant content that can quickly gain popularity in the Internet community. The more useful content you have, the greater the chances someone else will find that content valuable to their readers and link to it." So ok. If you can't use Link Exchanges, how do you go about getting quality 'votes' for your site? Link exchanges used to be popular, but are the old way of getting links and although links of any type to your site are still counted, there is always the risk that you could catch a very bad cold if you actively participate in link exchanges. Start to look at the social networking sites and get your site out there. Social networking sites such as Digg, Twitter, Delicious, Facebook, and StumbleUpon are able to drive massive traffic to your site; but only if you have unique and interesting content. The more interesting your content, the greater the chance that someone else will find your content useful to their visitors and link to you. Always consider your outbound links as part of your content. If you link to sites stuffed with irrelevant adverts or to a site that tells you how to Wash a Dog (and your site is about Property Investment), then visitors are going to question your motives and will not link their sites to yours. So focus on good quality content and then look at using social networking to drive visitors to your site. If you have good content, then other sites will start to link to yours. If you ARE involved in Link Exchanges, visit the reciprocal links as often as you can and make sure you don't have an unhealthy neighbor and that you still have a link back. Always remember that the risks of a Link Exchange system far outweigh the benefits. About the Author: Neil Holley-Williams runs HW marketing, a Chichester web design company providing very affordable websites and SEO for small and medium sized businesses. Neil has worked in the IT industry for over 25 years for companies such as IBM, Carnival UK, Invesco Perpetual, and Skandia Life. For more information visit www.hwmarketing.co.uk/seo. Infusionsoft have been in the small business world for quite some time and they know what it takes to grow a business. So, to help fellow entrepreneurs, they've compiled a guidebook of things you can do to improve your Internet marketing and get your business on the path to business growth. Everything you learn from the guidebook can be implemented today. This is a great resource for anyone hoping to capture more leads, close more sales and get repeat business. Click here to get your free guidebook. To compliment the guidebook, Infusionsoft have compiled a Free Email Marketing 2.0 Report. In this free 5-page report, you'll discover how to close more sales, get repeat business and build lasting, profitable relationships with your contacts using email marketing. Click here to get your free report. I've just created a special group on the well-known and respected Newsvine news network. 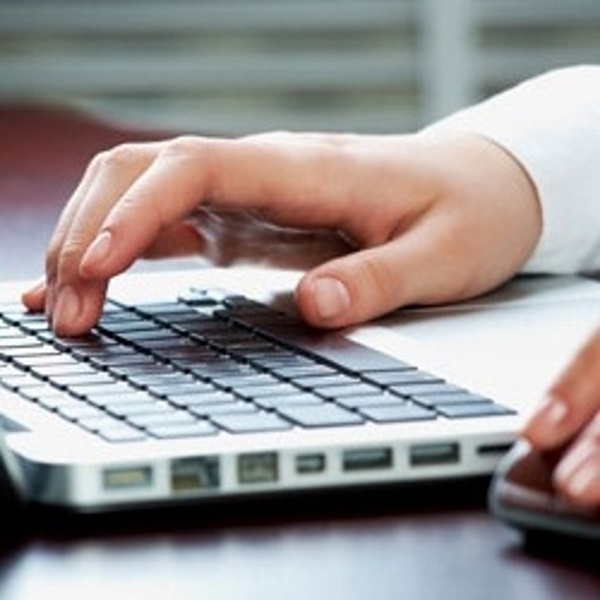 The group called Blogvine, is dedicated to blog owners for article submission and discussion. If you write good quality articles for your blog, I'd like to hear from you. By posting your articles on Blogvine, you'll receive further recognition and publicity for your hard work. You can also use Blogvine to discuss blogging in general such as providing or sharing hints, tips or promotional ideas etc with other bloggers. Your posted articles can be of any subject but they must contain quality, original content. Also, to ensure Blogvine is viewable by anyone and to comply with Newsvine's Code of Honor, please do not submit articles that contain (a) profanity or adult content or (b) self-promotion or advertising. While reading Harry McCracken's rather insightful article on Google Instant in PCWorld, I was reminded once again, how narrowly focused my own thinking has become in regards to Google. I keep forgetting, not everyone is into SEO or Internet Marketing (lucky dogs), and that Google search has a function outside of SEO. I keep forgetting that the general public actually uses Google for online search, there are millions of web users out there who have been using Google Instant to find out the weather, the latest Lady Gaga outfit or which flat-screen HDTV to buy? Of course, I know this to be the real function of Google, but if you're a full-time search engine marketer, your perspective is solidly aligned to all the SEO elements - keyword rankings, link building and content placement in the most dominant search engine in the world. Basically, you will be more concerned with how Google Instant will impact those top keyword rankings, your click through rates and most importantly, what effect will it have on your conversion rates and sales? More specifically, how does this instant search impact the display of your listings in Google and what are the long-term ramifications this instant "real time" display will have on your online marketing? There are even some so-called experts which say Google Instant will be the end of SEO. This is a rather foolish notion since the underlying structure of using optimized strategies to obtain top rankings in Google or any other search engine for that matter, has not changed. We still have the emphasis on quality content, high quality backlinks and on-page ranking factors. In the background nothing has changed, in the foreground everything has changed. Well, somewhat. Google Instant is a game changer for online marketers simply because it changes "How" your listings are displayed. Not only is the faster speed a factor but Google is guessing or rather dictating what the web surfer is searching for so Google's influence on what's displayed has increased 10-fold. They are displaying results not only based on rankings BUT on what their data tells them you're looking for? How big a role this other compiled data and web users' histories play in these suggestions only Google knows, but to the online marketer all this is somewhat worrisome. Eric Schmidt, the CEO of Google has been quoted as saying, "Never underestimate the power of fast. Quick, quick, quick - we want to help you right now... we can understand things like what you really meant." Only time will tell what effect this "jumping the gun" or "making up your mind for you" will have on Internet marketing. The long-lasting effect of Google imposing its results on the web searcher will no doubt have some strong impacts on web marketing. Getting those first suggestions when a surfer types in just one or two letters... will become the real money-makers in terms of online traffic and sales. Those companies and products which pop-up first will gain in market share and importance, but hasn't this always been the case with getting those first place keyword rankings in Google? Yes, but now Google is giving the searcher options and planting seeds/suggestions, which Google has done in the past but not at this speed and to this extent. The implications for online marketing could be enormous, assuming of course, web surfers actually use this function because Google does give users the option of turning off Instant search. In our hurried fast-paced world, one would reason, web searchers would not turn off this function, although if your Internet connection is too slow, Google will automatically turn off Instant search for you. From a marketing angle, webmasters must now note Google's keyword suggestions which quickly pop-up and target them in their SEO efforts. Analyzing and targeting which keyword phrases Google are displaying in your niche market will be vital to capturing the majority of the traffic. Surfers will click on Google's suggestions to find what they're looking for on the web. Getting top rankings for those 4 or 5 suggestions will become important if an online marketer or webmaster wants to cover/corner all the search territory in their niche. Whether you actually target these keywords would really be determined by their commercial intent probability which can be discovered by using Microsoft's Adcenter Labs (http://adlab.msn.com/Online-Commercial-Intention/) and of course, the amount of traffic each keyword gets each month. (Try here: https://adwords.google.com/select/KeywordToolExternal). Another area of concern has to do with the ever decreasing space for organic listings on the new Google Instant interface. With the drop-down menu and depending upon how many paid listings are shown, there may only be room for 3 listings instead of five or more above the fold. Keep in mind, we are mainly talking about lucrative keyword phrases which will also usually have three paid Adwords listings in the spots where organic search results were formerly displayed. Searchers are lazy, they will probably not scroll down, especially if they see different listings popping up as they narrow down their search. So your SEO has probably gotten much harder since you will now have to aim for the top 3 spots - thanks Google. Of course, savvy online marketers know the real gold is in the long-tail keyword phrases which surfers use to find what they're looking for on the web. Google Instant could possibly play havoc on this whole process because before the searcher finishes typing in the long 4 or even 5 word phrases, they would be exposed to maybe 4 or 5 pages of Google listings... chances are great that searchers will click on one of these listings before they finish typing, especially if the listing contains a part of the searched for phrase. Marketers will have to closely analyze their own web stats and conversion rates in regards to Google Instant. I am seeing little change in my own online marketing... traffic has dropped on some sites and risen on others, subscription rates are up and sales are steady. What really concerns me is the fact that Google may not only be pre-judging their rankings but also your mind. They are playing a much bigger role in how you decide which listing you click. Granted, this is probably drawn from unbiased data but will the influence of top-brand companies be more dominant in Google's Instant results? Another general concern, will the display of so many listings make it harder for your site or page to be clicked? Will giving the searcher so many options so quickly, lower your chances of getting that click-thru, even if you have the top spot in Google? The laws of probability and human nature says your chances have diminished somewhat in this new instant search environment. Not good news if your livelihood depends upon getting that click. However, many of these changes and no matter how fast Google gives you their search results, will not change the fundamental principles of good SEO practices. Keyword positioning will still get you to the number one spot in Google for your chosen phrase if you have the time and resources to create quality content, build quality one-way backlinks and use good on-page optimization. Besides the smaller emphasis on organic traffic, the only other real concern is the degree to which Google will use their suggestions and how much those suggestions are based not on SEO ranking factors but on users' histories and compiled data. Even with this concern, Google Instant, even at warp speed, does not negate the importance of getting those top rankings. For many search engine marketers, like myself, it's business as usual. Full speed ahead. Here are my top 10 affiliate marketing tips to help you figure out how to identify profitable affiliate marketing opportunities and avoid the ones that are a total waste of time and money. You must remember that when you promote affiliate products on your website, every recommendation you make reflects directly on you. If you recommend a good-quality affiliate product or service that is reasonably priced, your customers and subscribers will trust you and be interested in future recommendations that you make. … But if you recommend something that fails to live up to its claims, then your visitors are going to assume you're just another marketer who’s only trying to sell to them and your credibility will take a major hit. Have you found an affiliate product you're interested in promoting? Then we strongly urge you to try it yourself first. It’s hard to offer an honest recommendation of a product or service you have no experience with. If you are really serious about joining a particular affiliate marketing program, we recommend that you do your homework first. Try the product or service yourself. Talk to other people who have purchased it. Make sure that you are recommending a high-quality product that comes from a company that offers great customer service and is reputable enough to back up what they sell with a strong guarantee. That’s the best way to ensure your visitors value your recommendations and come back for more. It’s perfectly reasonable for you to expect to be paid 20% to 50% of the profits on each product sold. If the company only offers 5% to 10%, we suggest you keep on looking. You should only do business with affiliate companies that understand the "lifetime value" of new customers you refer, and appreciate your efforts enough to offer the commissions you deserve. Before you join a company's affiliate program, make sure the company's website is turning a reasonable number of visitors into sales. If their website doesn't have a decent conversion rate, then all the effort you put into directing traffic to their site will be wasted. Look for sites that have at least a 1% conversion ratio (in other words, 1 out of every 100 visitors makes a purchase). Check out their website and their salescopy to see if it makes YOU want to buy. After all, it’s your job to send them targeted traffic — but it’s their job to turn these prospects into paying customers. Before you join a company's affiliate program, find out what kind of tracking software they use. Look for a program that uses reliable affiliate tracking software that tracks all of your sales. We emphasise "all" because you want to make sure that they track phone, fax, and snail-mail orders, as well as any that are made directly on the website. Many companies only track online orders — which means their affiliates don't get credit for anywhere from 5% – 10% of the sales they help the company make! Also, make sure the affiliate program you join uses "cookie tracking". This ensures that you’ll be credited for the purchase made by people who don't buy on their first time to the site, but return to buy something on a future visit. With cookie tracking, you can be sure that you are being credited for all of your affiliate sales… including online orders, mail orders, faxed orders, phone orders, and orders from customers who come back weeks or even months later. When you join an affiliate program, the company should give you a special username and password that you can use to access your own personal affiliate sales information on their website whenever you want. These should be real-time statistics that allow you to see exactly how many sales you have made. … plus a whole lot more! With real-time statistics, you can discover exactly how well different banners, text links, and recommendations are doing. For example, you might discover after some testing that a banner on your resource page doesn't pull nearly as well as a personal recommendation under your newsletter subscription box. That’s the kind of information you need to ensure that your affiliate marketing efforts are yielding maximum results. A good affiliate program will provide you with everything you need to be successful. They'll provide you with traffic-generating banners, text links, and recommendation letter templates. They'll tell you which techniques work well in which circumstances. Because their success is linked with yours, the affiliate program you join should be ready, willing, and able to teach you everything you need to know to start earning excellent commissions. This might seem obvious, but we can't help but stress the importance of doing business with a reputable company. We know many people who have worked really hard, made a lot of sales for a company, and then have never been paid (or have been forced to wait months and months to get their money). If you have any questions or concerns about an affiliate marketing company, ask for references and do some checks on them. You want to make sure they are very professional before you join their program. For example, if you phone them and they're rude to you, they put you on hold forever, or you get an answering machine, then you should be concerned that customers you refer to them will have similar experiences. Before you join any affiliate program, read all contracts and agreements very carefully. Pay very close attention to exclusivity clauses in the agreement. Some companies will stipulate that you only sell "their" affiliate products on your website and won't let you join other affiliate programs. For example, if you joined a book-selling program, they might state in their contract that you can only sell "their" books. We strongly urge you NOT to sign any affiliate agreement or contract that restricts you like this. Otherwise you will be missing out new opportunities to make money on your affiliate site — and any company that denies your right to make more money doesn’t have your best interests at heart. And here’s the big one – make sure the products you're recommending are products your niche market would want to buy! You could recommend Internet marketing materials on your fly-fishing site until you're blue in the face, but you’re not going to make any money, and you could even drive visitors away. To be successful as an affiliate you should zero in on a niche market and give them valuable information that makes them trust you. Then you can recommend affiliate products that they would be interested in… and they'll respond. I've just updated the Top Blog and RSS Directories post with new links. I have also added some additional Multi-Ping Services which you can use. When using Multi-Ping Services, just be careful not to ping too often, as these services will ban you for over pinging. Rule of thumb is to ping only when you have published new content on your blog. Just as a reminder, I have added this note to the bottom of the original post. With the Top Blog and RSS Directories post being updated frequently as and when new services become available, don't forget to bookmark so that you have access to the latest services. As ever, if you find any broken links, directories no longer in service or would like to suggest a directory, please let me know. Although it lacks features (which is Google's intention), it does provide analytics. 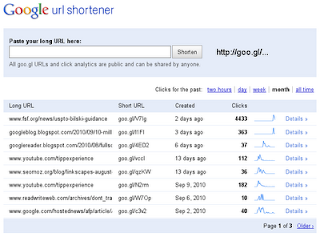 Google's primarily aim is to provide the "stablest, most secure, and fastest URL shortener on the web." "There are many shorteners out there with great features, so some people may wonder whether the world really needs yet another. As we said late last year, we built goo.gl with a focus on quality. With goo.gl, every time you shorten a URL, you know it will work, it will work fast, and it will keep working. You also know that when you click a goo.gl shortened URL, you’re protected against malware, phishing and spam using the same industry-leading technology we use in search and other products." Personally, I like it's simplicity (plus the promise of stability, speed and security) and will probably be using it on a regular basis for services like twitter etc... But is it one URL Shortener service too many? I don't think so, but what do you think..? Wednesday 8th June 2011: The Mirage Discussion Board is no longer available. For further details, see our post: Discussion Board, Google Plus One & Other News. After hours of work, I am pleased to announce that the Mirage Discussion Board is now open for business. The board is aimed at providing help and support for online business owners and affiliate marketers. In addition to providing help and support, you can also post articles as well as advertise your online business. The board also has a "Scam Watch Forum" where you can post warnings on any business scams you may find on the Internet. This will help members and visitors who are thinking of starting an online business avoid the pitfalls of fraudulent companies or individuals offering bogus opportunities. Enjoy and have a wonderful weekend.